Because of their slow growth rates, late maturity, low fecundity and long potential lifespans, deep-sea fishes are vulnerable to and theoretically slow to recover from overexploitation and bycatch. As industrial fishing moved into the deep sea, population declines were predicted and five species were shown to meet The World Conservation Union (IUCN) criteria for endangered species in Atlantic Canadian waters and two other deep-living species were listed as threatened by the Committee on the Status of Endangered Wildlife in Canada. We used data from scientific surveys to determine population trends in a 17-year time series for an additional 32 deep-sea fishes from the same geographic region. Eight species exhibited significant population declines, five increased, two were data deficient, and 17 showed no significant trends. Thus approximately 38% of the deep-sea bottom-living fishes in that well-investigated region could be at-risk, but definitive assignment to an IUCN category for most species is hampered by a lack of basic biological information, especially species specific generation times. Lack of biological information also limits efforts to determine possible recovery times, especially with respect to calculating intrinsic rates of population growth (r). For two Atlantic grenadiers (where r could be estimated using life-history parameters and standard life table techniques), the time to recovery with no fishing mortality could range from over a decade to over a century. This broad range results from the general uncertainty on life-history characteristics of these deep-sea species. 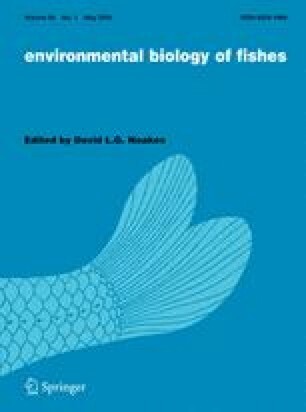 Given the documented declines, the lack of basic data on life-history parameters, and the conservative assumption that recovery rates are likely to be prolonged, we argue that it is imperative to conduct additional studies pertaining to life history characteristics of deep-sea fishes and implement conservation measures in the deep sea immediately. Funding for this work was kindly provided by the Marine Conservation Biology Institute (sustainability of deep-sea fishing research stipend) and the Natural Sciences and Engineering Research Council of Canada. We thank Joe Wroblewski for his ideas concerning estimating time to recovery and Paul Snelgrove and Evan Edinger for their helpful comments on the manuscript.